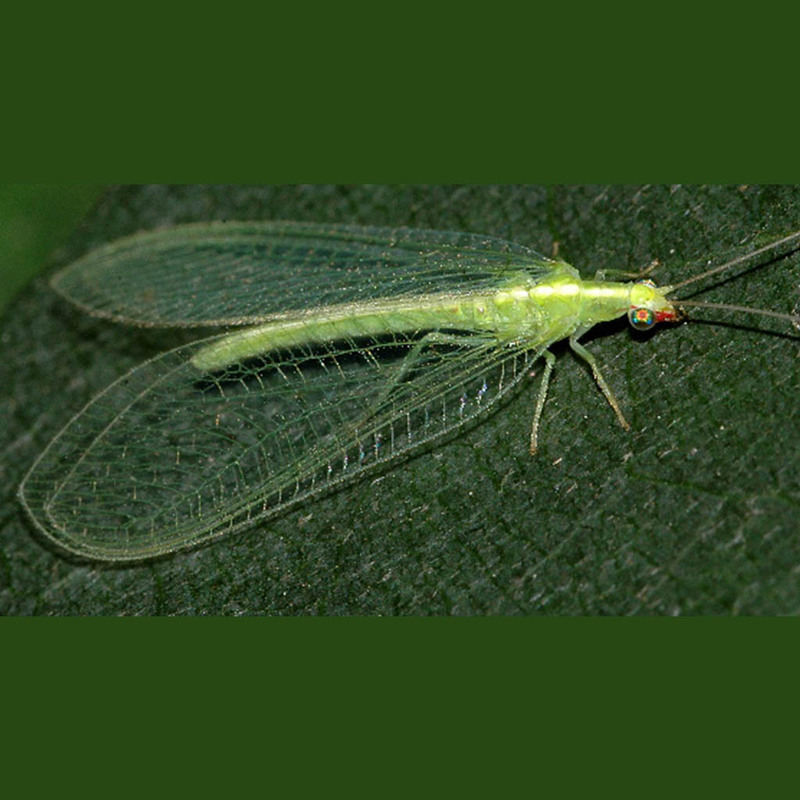 Chrysoperla rufilabris – Green lacewings are aggressive nocturnal aphid predators. They come in three forms: eggs, larvae, and adults. The eggs are useful when you’re in no great hurry to get rid of aphids and other pests. The larvae are useful for quick cleanup, and the adults, being nomadic like Aphidoletes aphidimyza are useful in tree applications. The larvae are the only predatory form of the green lacewing, but they’re very opportunistic. These predators may eat outside of their diet to enjoy other soft-bodied pests: scale insect immature stages, (including long-tailed) and mealybug species, whiteflies, and others, especially certain insect eggs. Release rates: Rates shown are for larvae. If you’re using eggs, multiply the calculated rate by five (5). If employing adults, divide the calculated rate by four (4).